Together with its partners Behringer Ltd and Behringer Eisele, Vernet Behringer will be participating at the upcoming exhibition MACH to be held in Birmingham from 9 to 13 April 2018. 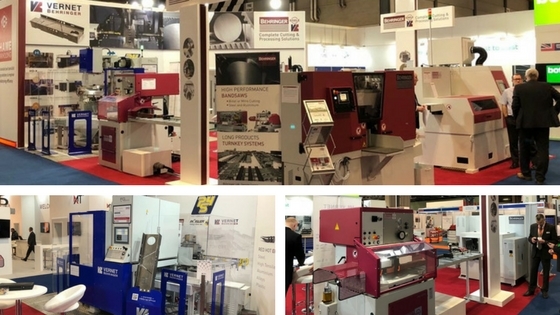 This trade show is the opportunity for steel structures fabricators to discover the Groupe’s global solution: band sawing machines, circular cold saws and production lines for beams and sheet metal working. More specifically, Vernet Behringer will be showcasing its FGEVO plate drilling-milling machine offering compact foot print, ease of use and excellent cost performance. This machine will be of particular interest for structural steel specialists already having plasma cutting table. Come visit us and ask for live demonstrations!